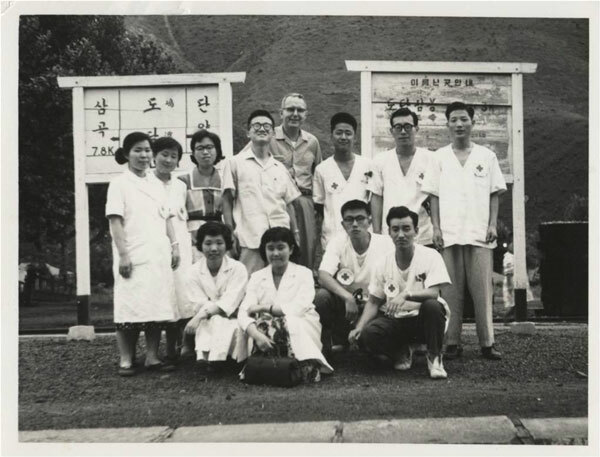 I first met Neal Gault in 1958 when I was a junior medical school student in Seoul National University, Korea. Neal was giving a lecture on how to approach patients with arthritis. There were 120 of us students who were quite impressed by the new American style of lecture. I remember him as a tall and handsome American who was very popular among the faculty and students for his openness and friendliness. After the lecture, I asked if I may visit him in his office. Neal readily agreed with his characteristic graciousness. That started our long and close friendship that lasted until I last saw him on December 8th. I would like to share some memories of my friendship with Neal since that first meeting. But quite the contrary, they were not at all intimidated but excited to learn about a new country and its people. 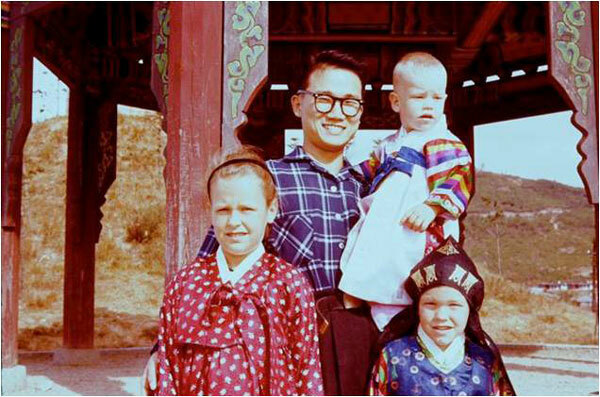 While other Americans lived in a separate foreigners’ compound, Neal moved his family to housing where Korean faculty and students could visit freely without the harassment of security check points. 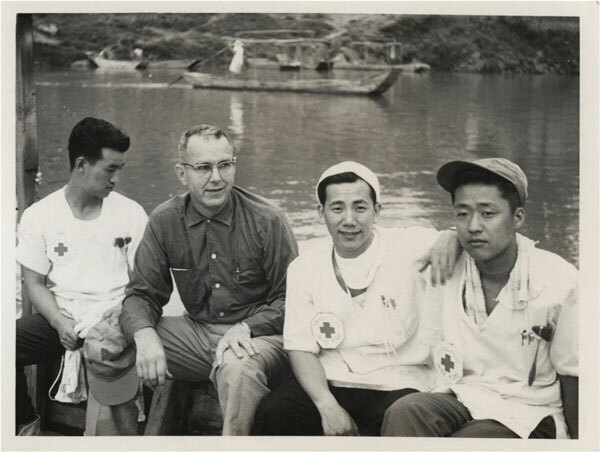 Neal, who had never lived in Asia, was freely adventurous while living in Korea. He never looked down on others but respected and appreciated all cultures and people. 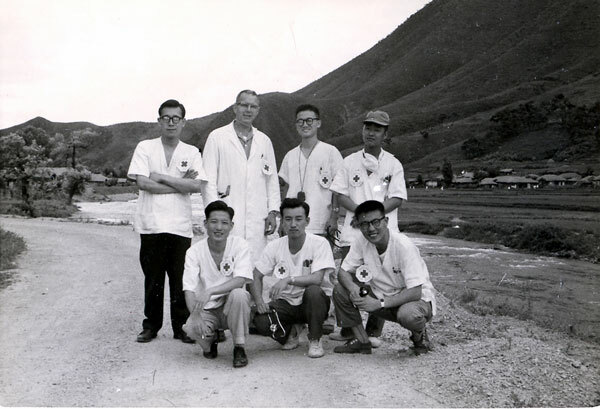 One summer Neal invited me to accompany him and a group of medical students visiting rural farm communities without doctors. The townspeople were thrilled to be examined by the tall, friendly Yankee physician. In the village, Neal was undaunted and took bath in the public bathrooms with us and farmers. He ate everything offered him. But Sarah, as a mother, was extremely careful about food because parasite infestation was common then. Ironically, she was the only member of the family found to have pinworms on physical check-up when they re-turned to the US. It was quintessentially characteristic of Neal and Sarah to be welcoming to any students who wanted to improve their education. 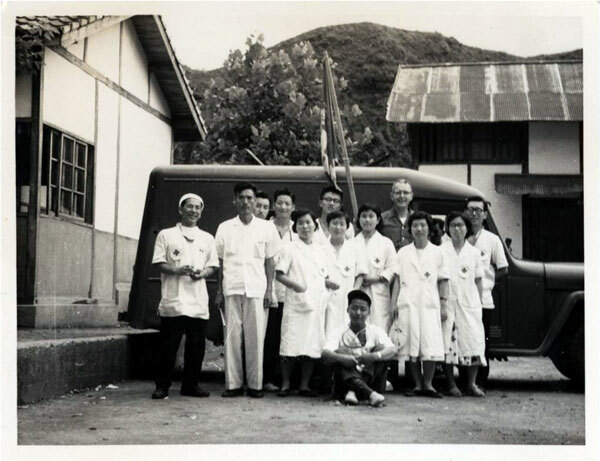 While they lived in Korea, I was frequently invited to dinner at their warm and friendly home. Furthermore, they invited me to stay in their home for 3 months so that I could learn English better and get accustomed to American ways. Two-year old Paul was my roommate. He never complained, but hummed to himself when following me on long walks. Today that little boy is an MIT and Harvard MBA-graduate! Neal was instrumental in bringing me to the University of Minnesota where I was accepted into graduate school. He advised me to study Biochemistry before internship and introduced me to Charlie Carr who became my kindly and patient advisor. When I arrived in Minneapolis in 1962, I had only $50 in my pocket. Neal picked me up at the airport and after a day or two I was placed in Centennial Hall in front of the U of M hospitals. Neal and Sarah gave me $100 as a graduation gift. Thanks to them I could concentrate on studying and not worry about living in a strange land. Most importantly, they supported and encouraged me throughout my studies. I became like a family member. Whenever the dormitory emptied for holidays such as Thanksgiving or Christmas, Neal would come to pick me up to stay with his family every year until I finished school. I remember him waiting for me in front of the dorm after work, pacing leisurely while smoking his pipe. He was al-ways cheerful and encouraging. When I received my PhD in 3 years, all I possessed was a typewriter but no money to buy clothes. Neal took me to an expensive men’s shop in Dinkytown and bought me a nice suit for my graduation ceremony. He was very pleased to see me graduate so quickly. After graduation, I took Pediatric residency at the U. of M. Hospitals during which time I met Dr. Robert Good who made me an immunologist. Thanks to the generous support of these mentors, a small town country boy from Korea became a full professor of Im-munology at Sloan-Kettering Cancer Center, Cornell University Medical School, in the big city New York, just eleven years after arriving in America. However, without Neal’s help and support, I would have never been on the path to suc-cess to begin with. I and numerous other foreign students from all over the world are indebted to him for his mentoring and introducing us people who were significant in our professional development. 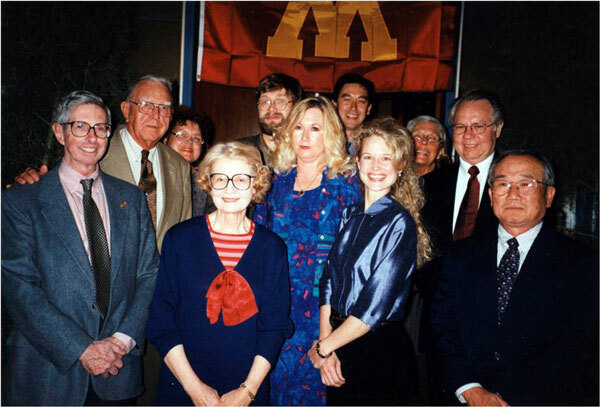 When he retired, Neal did not sit at home but continued living a very active life devoted to fund raising for the Minnesota Medical Foundation. Paying his own way, Neal and his colleague, Gary Hargrove, traveled the country, including to New Orleans where we enjoyed dinner at Commanders Palace, among other things. I found several remarkable virtues in Neal through our long friendship. He was an absolutely honest and understanding fellow. I never saw him angry or depressed no matter what the circumstance. Despite the many stresses and ag-gravations of a dean’s job, Neal took care of Sarah at home for 20 years while she was ill. It takes a person of exceptional character to remain steadfastly dedicated to the care of a loved one at home for a prolonged time. 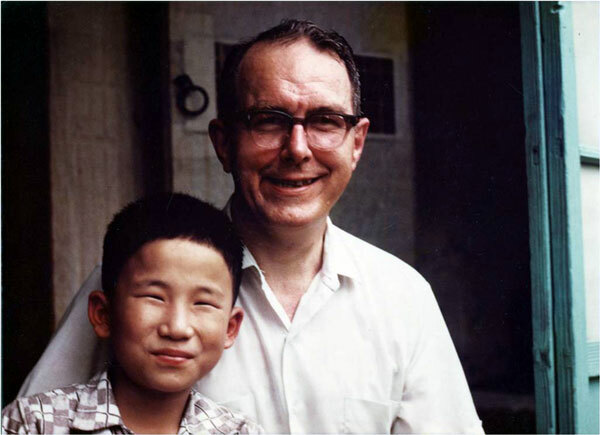 In explaining his devotion to his father, Paul said that his parents always taught their children that despite any hardships, ‘you do what you have to do.’ Paul set aside everything when Neal was diagnosed with cancer, moved back home, and took care of his father until his last day. My family and I consider ourselves blessed to have known Neal Gault and his family over these 50 years, a whole half century! We have visited each other fre-quently or by phone almost every other week for fifty years. He was a rare indi-vidual who believed in giving to others, above all. He lived his belief that heaven is here on earth through good things we do for one another. There are many of us who are beneficiaries of his philosophy of life. I will have many fond memories to cherish for the rest of my life! 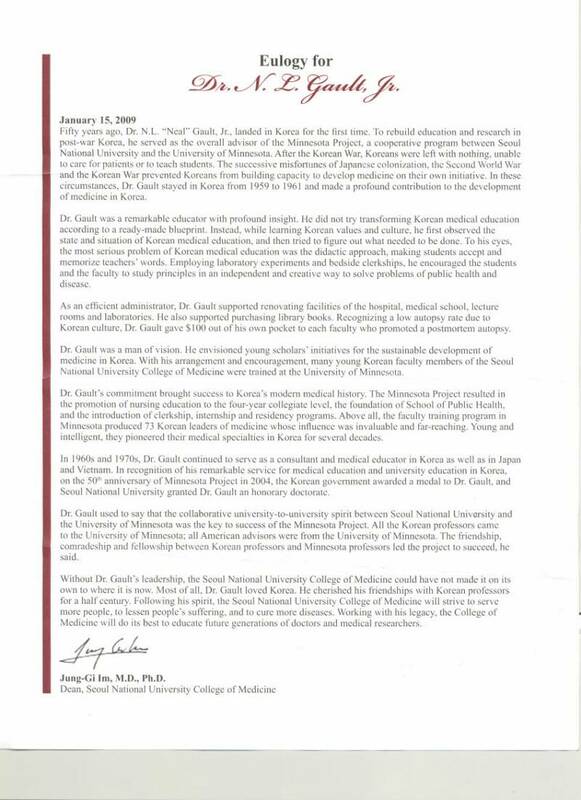 Yong Sung Choi, M.D., Ph.D.
system를 처음 시작하였을 때 그는 미국의 육군사관학교인 West Point 의 첫 시작임을 일러준 이야기, 부검장려금 지급(제1호 수여자는 김광우 동문) 등은 그가 정말 진정한 스승의 본보기임을 보여주었고, 지금도 이나라 의학교육제도 개선을 유도한 것은 잊혀지지 않네. 예컨대, Quater 제의 도입, IDL(Interdepartmental Lecture) 도입에 앞장 섰다든지, Dr. Gault가 주동이 되어 미내소타 대학에서 서울의대로 파견된 교수들(학생교육 및 교육계획에 직접 참여한 분들 - 마취과, 소아과, 간호학과에 오신 분들)이 대학 발전기금 US$ 2,000 기증은 서울의대 발전을 위한 nidus가 된 일은 잊혀지지 않는군요. 몇몇 친구들이 fragmented information를 조금씩이라도 모은다면 위와 같은 그의 기여도는 더욱 커질것입니다. 한편 Dr. Gault가 서울의대에 기여한 공적이 오늘의 서울의대 교유계획 증진을 발화시킨 점에 대해서는 당시 Dr. Gault에 대한 SNU(Med)의 counterpart 역을 담당하였던 권이혁 선생님(전 서울의대 학장, 총장, 교육부장관 등 역임)의 적극적인 추천으로 서울대학교가 제공하는 명예박사(제100호)를 2년 전에 수여하였다네(물론 100호라는 번호가 의대 추천자에게 수여하였다는 것에 대해서는 서울대학교 HQ의 저항도 있었지만). 실상 그는 미넨소태 대학교 의괘다학 발전을 위하여 가정의학과를 만드는 조건 등으로 school building을 지었다는 이야기 등은 미담으로 들을 바 있네. 20년 쯤 전에 서울을 방문하였을 때 나는 Mrs. Gaultd와 함께 서울의대를 방문하였을 때, 그는 이미 Parkinson병으로 고생하는 것을 본 적이 있오. Dr. Gault에 대해서는 하고 싶은 이야기가 많지만, 정확하지 않으니 동기들이 십시일반으로 이야기를 보탠다면 오늘의 서울의대 발전을 유도한 그분의 기록으로 영원히 남을 걸세(실상 서울의대에서는 우리나라 처음으로 Archives Center를 준비하고 있다네). 강형의 역할이 이처럼 우리의 생각을 더듬케 하니 더욱 고맙네. 생각나는 일들이 계속되기를 바라면서 오늘은 이만.